Nice one, Pozole! Since you’re taking it to Haiti, let’s keep it there for a bit. This is another one of those long jams that just keeps getting tastier and tastier. You have no idea where they’re taking you, but you know it’s gonna be good. All kinds of goodness here, but my favorite is the riff at 2:45, which anyone with even the faintest exposure to (any Latin American country’s) “Amor Estéreo” in the 80s will probably recognize. I had to look this up; maybe you all knew this, but I didn’t. I guess it all starts with a smoooooth early 70s Italian jam by Ciro “Zacar” Dammicco, “Soleado”. I’m pretty fascinated by how different people hear the same song. Not to stereoytpe, but on YouTube, the Brazilian calls it “é balsamo para a alma e p o coração, bellísima”, the little Chicana says “I love this song I am going to dance it in my quinceañera” and homeboy says it “makes me feel like im in a funeral”. No doubt I’ll go with the Haitians! This entry was posted in PELANGA RECORDS! 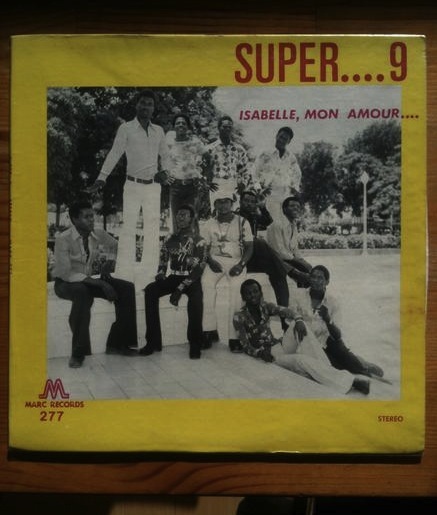 and tagged Haiti, Super 9 by Papicultor. Bookmark the permalink.